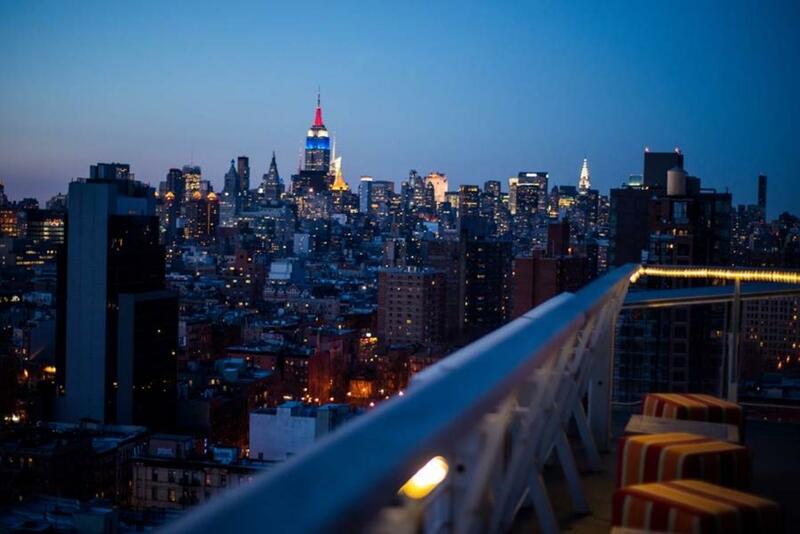 Watch New Year’s Eve descend upon New York City from the sky this NYE, at the Hotel on Rivington Penthouse NYE Party. Unbeatable views abound from this swank rooftop atop this boutique hotel, providing the ultimate New Year’s party for those who revere the finer things. 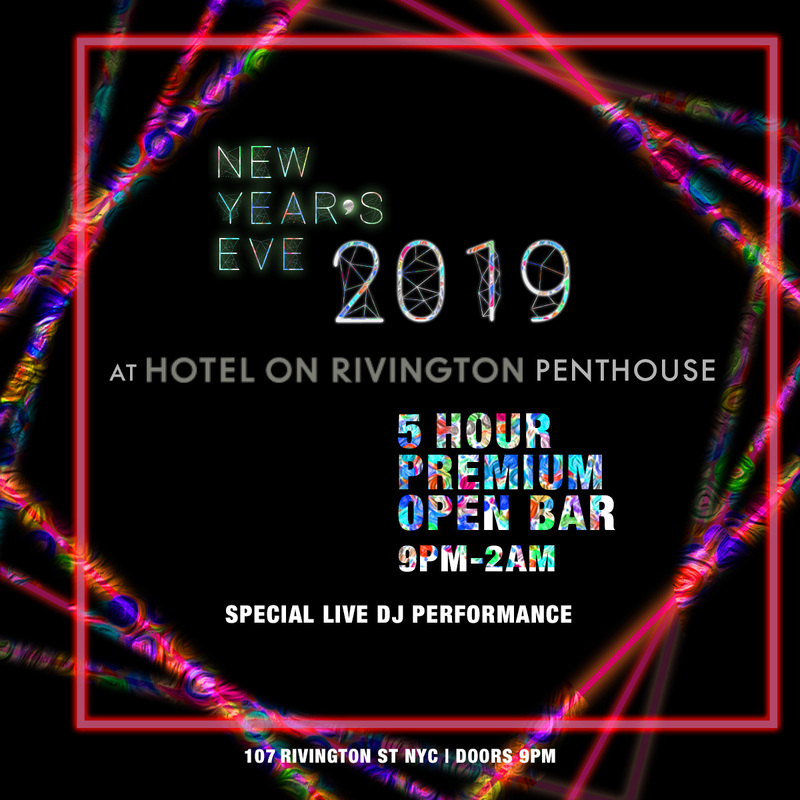 With premium amenities and the trendiest party people, your NYE is set for greatness at the Hotel on Rivington Penthouse. Begin your night with cocktails and bubbly from the five-hour premium open bar. It won’t be long till you’re dancing the night away, as the DJ mixes the ultimate mashups of Top 40, hip hop, and house music. As midnight creeps in, join the DJ in the live countdown, offered with a complimentary glass of bubbly. Looking to run the night this NYE? Take out a VIP package that includes reserved seating, bottle service with vodka and champagne, and more. 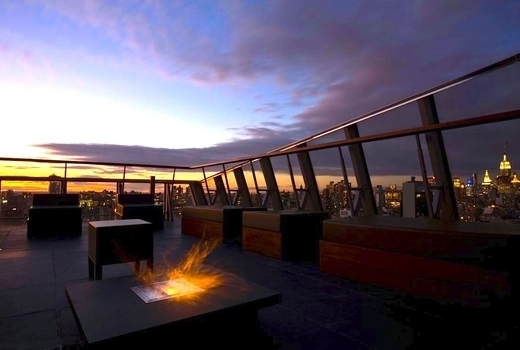 Overlooking the trendy Lower East Side all the way through to Midtown Manhattan, the views from this rooftop are some of the best in New York City. 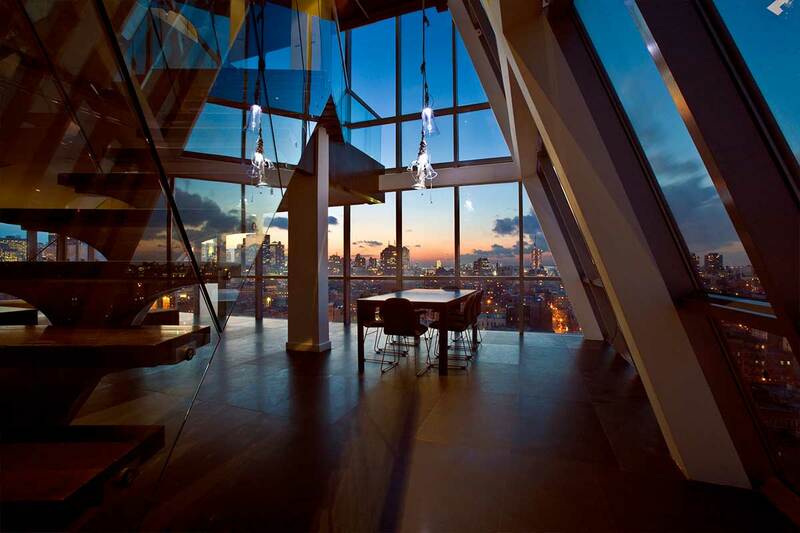 This 3,000 square-foot penthouse boasts sweeping glass walls and a floating staircase, enhancing the sleek, futuristic aesthetic. Exquisite gray sofas and tables with flickering candles enhance the minimalist accents, all before the slanted walls that make the Hotel on Rivington Penthouse feel like a space-age museum. 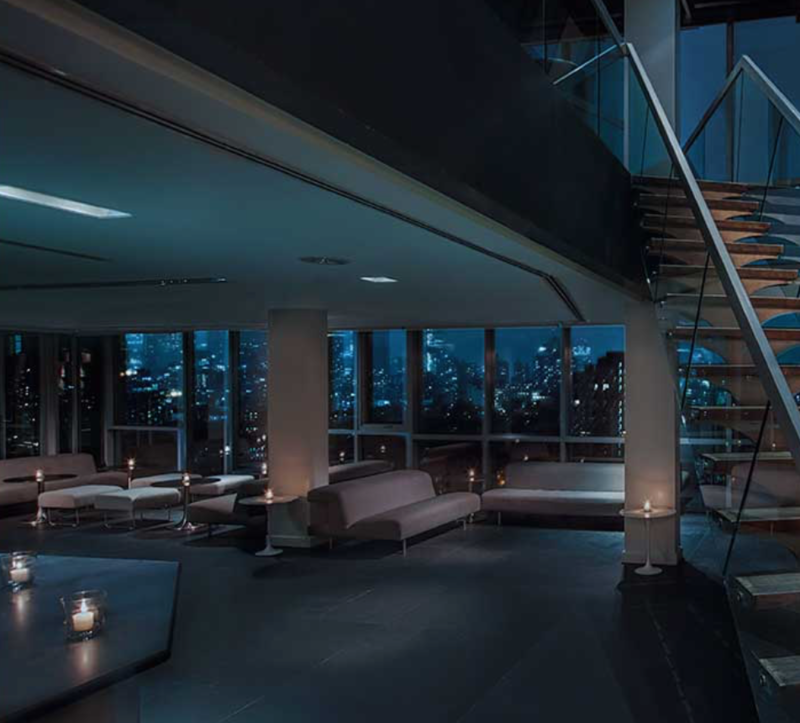 Elevate your night this New Year’s Eve at the Hotel on Rivington Penthouse, where there’s always a sight to behold. With a premium five-hour open bar in this trendy LES hotspot, you too can have it all this NYE.